Before I received all of this wonderful knowledge about anti-inflammatory foods, my life was full of unexplained aches, pain, and weight gain. I came to know that I was deficient in foods that provided fiber and omega-3 essential fatty acids. They boost the function of our immune system. Therefore I was always in a state of low grade inflammation. The foods that will appear on this list are what I call whole foods. 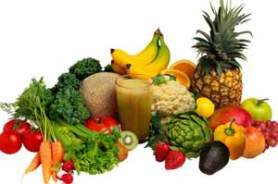 Whole foods are a factory of vitamins, minerals, nutrients, and phytochemicals. Our body needs all of these foods for good cell to cell communication. Refined foods, are altered foods that can not help to send the right message to our cells. Our cells then become confused and can only give us what we put into them. Side note: My definition of refined foods. These are foods with no nutritional value, like white flour and white sugar and any product made from them. They are foods made to taste good but are starving us to death. They are fake foods. That is why we can eat them, and a hour later we are hungry again, and so the cycle starts all over again. Ask yourself, do you want to own a painting made by a master or a painting that just looks like one, and has no value. That is what fake foods do, they add no real value to our life. Whole foods are truly a masterpiece, done by a master worker and they do add a great deal of value to our life. Below are a list of what I call whole foods. Eat as many raw foods as you can, because they give us enzymes. This makes them a good choice to help bring down inflammation. Enzymes are anti-inflammatory. The best are plant enzymes because our liver will work to get rid of anything that is foreign to it. Cooked foods have no enzymes in them which helps to create more stress on our digestive organs. This leads to inflammation. Bring color into your diet. The colorful fruits and vegetables are the best for fighting the symptoms of inflammation. Scallions, Radishes, Onions, Parsley, Squash Summer Squash, Yellow squash, Brussels sprouts, Bok Choy, Winter, acorn, butternut, or hubbard squash. Blueberries, Pears, Peaches, Orange, Apples, Grapes, I like the ones with the seed. Leeks, Pumpkin seeds, Walnuts, Almonds. Asparagus, Cabbage, Celery, Chives, Kale, Lettuce, Romaine and the red leaf kind. Peas, Scallions, Seaweed, Soy beans sprouted, Spinach, Zucchini, Swiss Chard, Watercress. They are: Turmeric, Ginger, Garlic, Cloves, Parsley, Cilantro, Cardamon, Basil, and Cinnamon. It is important to know about the foods that relieve inflammation because they will bring us energy and long life. Notice that these are food that have not been altered by processing. They are not refined foods. Our body will take the whole foods and process them and send the nutrients from these foods where they are most needed. We have a saying in our family "Make whole or Raw foods your pharmacy to good health". If you are not eating these foods that relieve inflammation start now and see just how they will change your life.